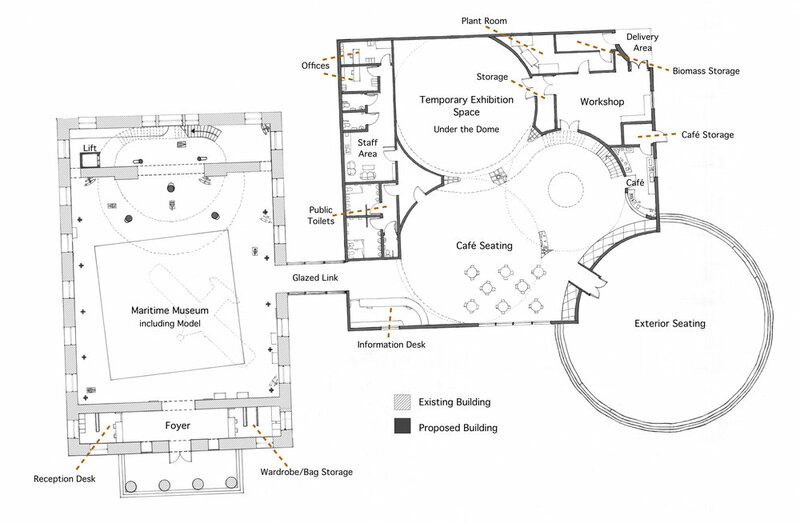 These plans, sections and elevations were drawn for the final submission of the Dockyard Church project. 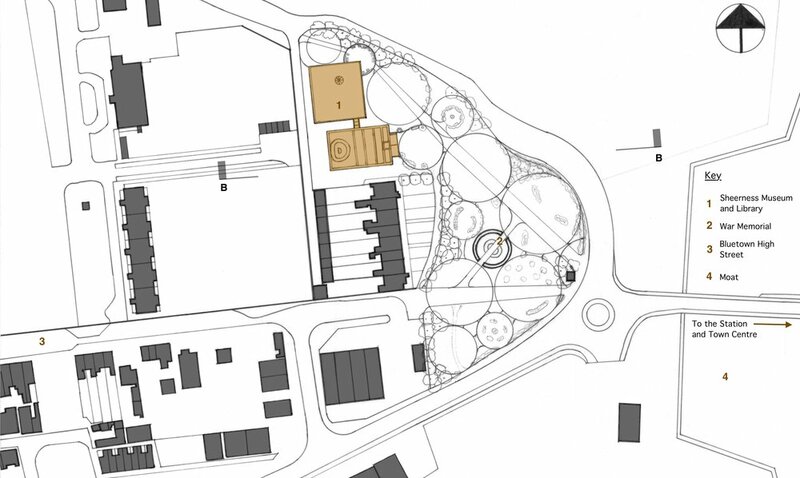 The landscaping is a continuation of the bubble-like shapes from inside the extension, expanding to fill the site. 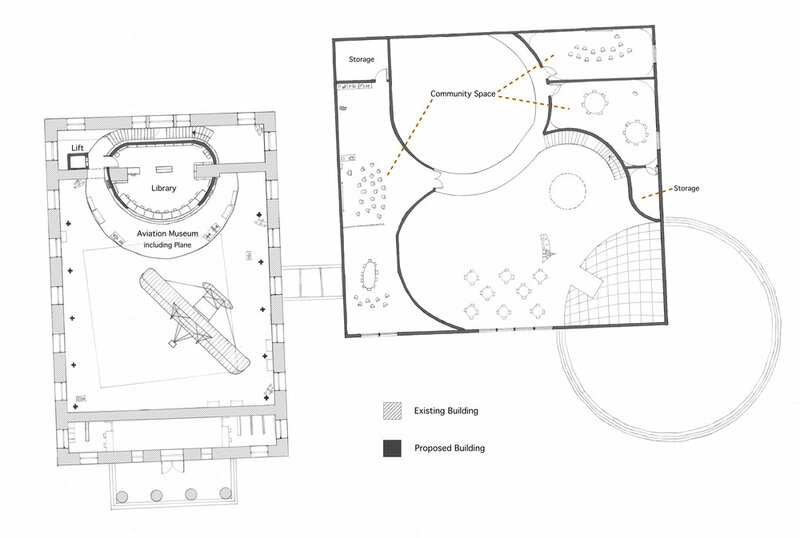 These include exterior seating for the café, and a war memorial. The paths through the site cut through almost all of the circles, creating a smooth path between them, as they are all slightly different heights. The percentage of paved (hard) verses planted (soft) landscaping.